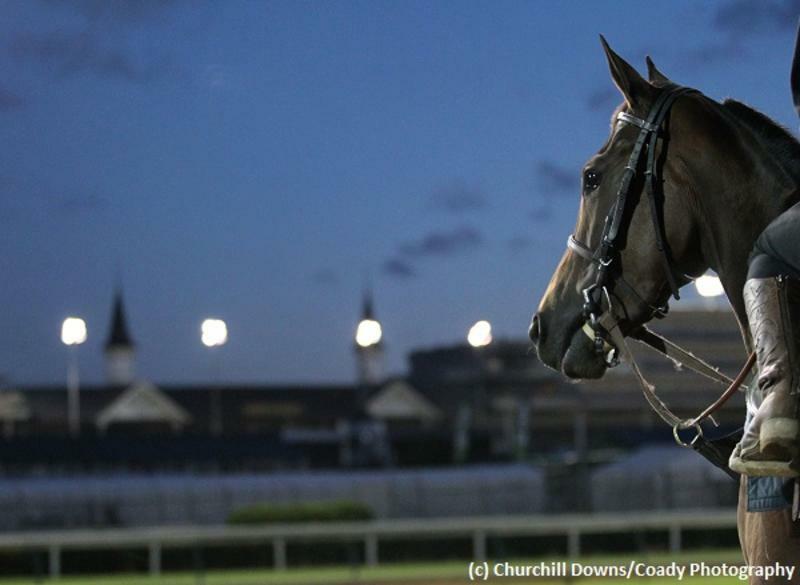 There are a number of questions the 143rd running of the Kentucky Derby can answer, but let’s keep it simple and look at five. 1 – In 2016, trainer Keith Desormeaux and jockey Kent Desormeaux just missed becoming the first trainer/jockey siblings to win the Kentucky Derby when Grade 1 winner Exaggerator finished second. This year the brothers team up with a maiden, Sonneteer, in their quest to make Kentucky Derby history. Can they do it? 2 – A number of trainers have scored with their very first Derby starter, including the conditioners of Triple Crown greats Sir Barton, War Admiral and Count Fleet. There are three trainers saddling their first starters in the 2017 Kentucky Derby – Antonio Sano (Gunnevera), Joe Sharp (Girvin) and Ian Wilkes (McCraken). Will one of these horseman add his to name to the list of luminaries who have begun Triple Crown dreams on the first Saturday in May? 3 – Thunder Snow can actually answer a couple of questions. The Godolphin colorbearer is both foreign-bred and foreign-raced, and makes his U.S. debut in the Kentucky Derby. Can he become the first Irish-bred starter to win the Run for the Roses? To date, eight have tried, with Dr. Devious (1992) and Hanuman Highway (1998) coming closest in seventh place. Also, can he become the first horse to race exclusively on foreign soil before the Derby to win? Nine have attempted the feat, with Lani being the most recent and finishing ninth last year. 4 – Only three maidens, horses who have never won a race, earned that first victory in the Kentucky Derby, and the last was Brokers Tip in 1933. Looking at the Derby since 1937, there have been 10 others who have tried to break their maidens in the Run for the Roses, but not one succeeded. Can Sonneteer who enters Derby 143 with a 10-0-4-2 record, finally earn that elusive initial triumph on the grandest stage? 5 – Let’s end with a simple question: Trainer Doug O’Neill and owner Paul Reddam teamed up last year with Nyquist to win the Kentucky Derby. This year, they have Irap to saddle in Derby 143. Can the duo join elite company by becoming back-to-back Kentucky Derby winners?